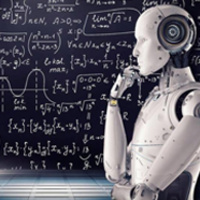 Join us for an exciting panel discussion featuring UCSC Extension technology instructors and other Silicon Valley industry experts as they break down the AI and Deep Learning job market: What is it? Where is it growing? How do you best prepare for the job market? Topics include the most popular frameworks; the practical, technical, and business applications of Machine Learning, TensorFlow, and AI; industry challenges and outlook; and the high-demand careers for which UCSC Extension is uniquely positioned to train you. You will also get an early preview into the UCSC Extension Keras course, currently in development. Engineering and Technology Career Exploration Series 2019. Come by and network while you scope out your future.